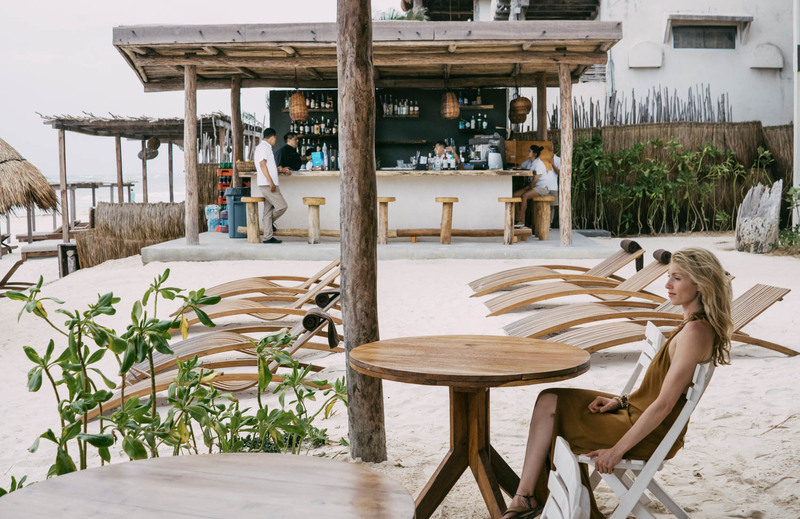 This brand new adults-only boutique hotel is located on Tulum’s main strip – Carretera Tulum Boca Paila – in an ideal location (close to our favorite restaurant, Restaurare and a ten-minute bike ride to Raw Love). The property has plenty of bikes available to rent, which make for an active, eco-friendly way of sightseeing. 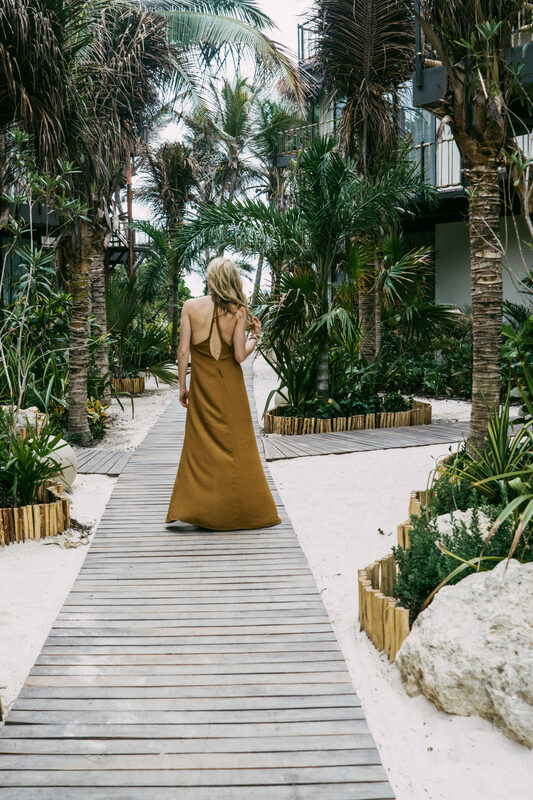 Not to mention the beauty and wonder associated with gliding down Carretera Tulum Boca Paila wind in hair, sun kissing our skin. We loved waking with the sun, getting in a morning meditation and some yoga on the beach and then hopping on a bike to grab a bite to eat followed by a refreshing swim in one of the many cenotes along the way. 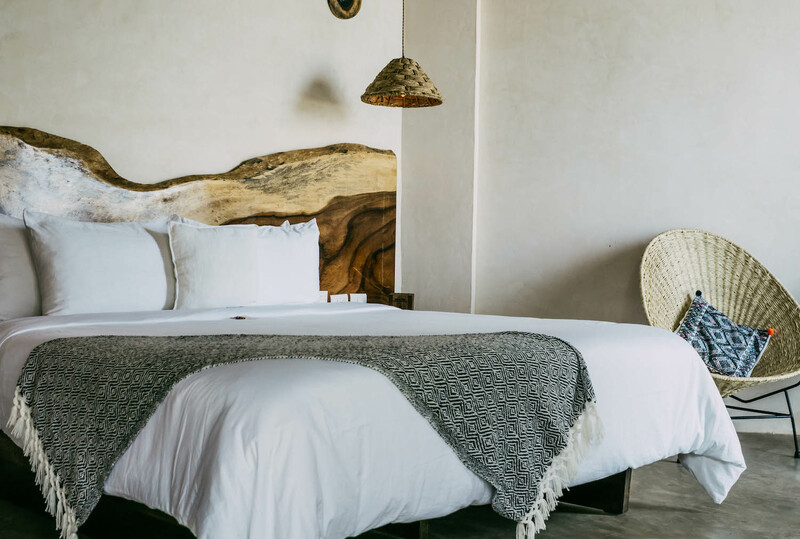 Another reason to love Tata – the boho chic property is very small, ensuring minimal impact on Tulum’s delicate ecosystem. We stayed in an Ocean Front Deluxe room – a clean, breezy space with egg chairs, plush king size bed, lovely bath amenities and an open-air shower. Slinking back the large floor-to-ceiling curtains in the morning revealed views of turquoise seas and swaying palms. Aaah. 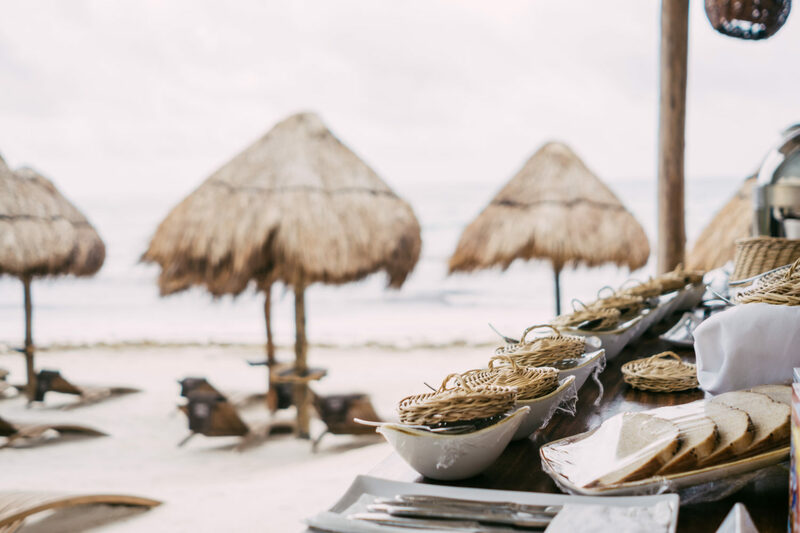 We dined at TATA’s beachfront restaurant, a small laid-back spot with amazing (healthful) local food. Every meal was potent with flavor bursting from the ground or the sea. There was a plentitude of options on offer for breakfast and everything tasted light and fresh. Our favorite dish was the catch of the day (dinner option); a white fish grilled to perfection and topped with a crisp green salsa. The staff was amazing (I’ll get to that later) and offered complimentary chocolate balls from heaven (loaded with superfoods). These nuggets were the perfect little dollops of sweetness to satisfy our palate after a delicious savory meal. This was our favorite spot on the property. The TATA staff was a blast to hang with as we imbibed delicious cocktails and Mexican craft beer. Just for fun, they introduced us to an excellent pairing of Mezcal (shot style) chased with lime sprinkled with a smoky chipotle-fused sea salt – yum. The music was perfect for a chill day at the beach, adding to the dreamy seascape ambience. We felt the positive vibes that Tulum is always so gracious to exude as we watched the waves roll in with their gorgeous majesty. The staff here was awesome. Period. Everyone was welcoming and attentive in a very genuine way. When you walk around a property and can feel the happiness in people’s smiles, you know you’re in a good place. The wait staff at the restaurant was wonderful at accommodating our dietary restrictions and custom requests. And did we mention those little complimentary chocolate balls from heaven!? Thanks TATA, we hope to be back soon.